A total cricketer is one who can keep his place purely as a batsman, purely as a bowler, purely as a fielder and as a captain. 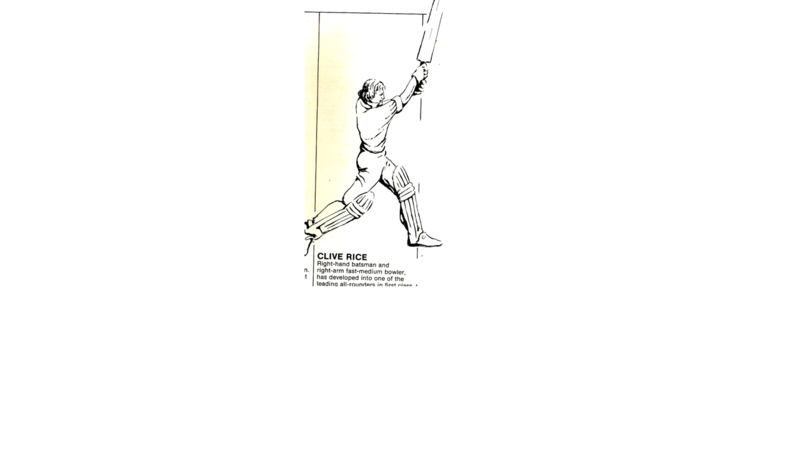 And South African player Clive Rice is one of those rare breeds. 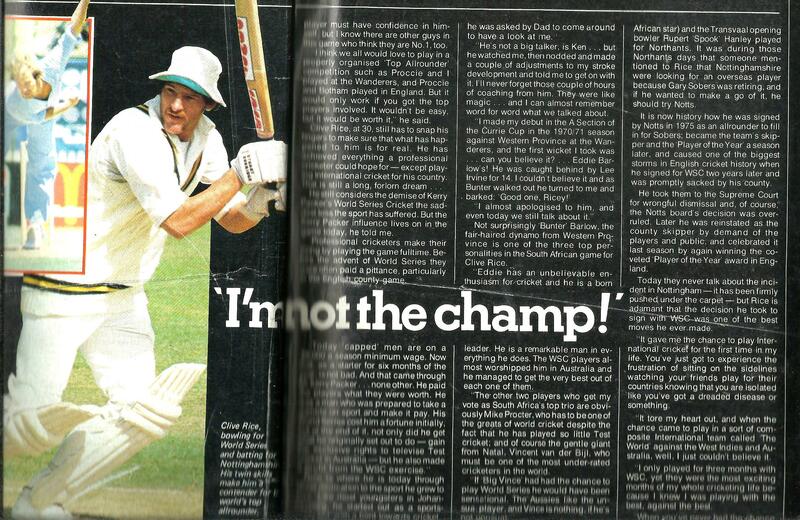 He was a total cricketer. Yesterday(July 28, 2015)he lost his 10-year battle to cancer and passed away. 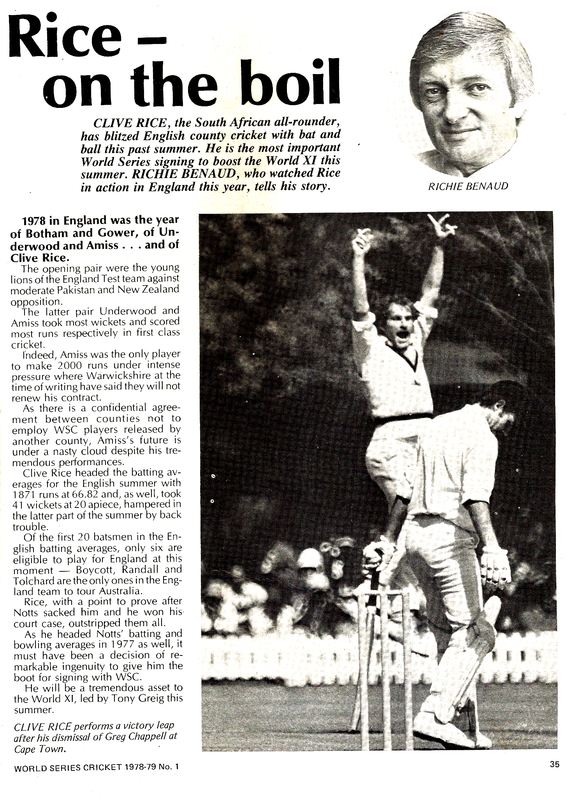 As a batsman he had great technique, was able to bat in top 4 position, and as bowler he had the ability to bowl with both new and old ball. As a fielder Rice had great intuition and a safe hand. It seems as a cricketer his best quality was his leadership. Although he only led South Africa in 3 one day matches, but he was very famous and successful in English county circuit and in South Africa. He led Nottinghamshire to Championship title in 1991, and with Sir Richard Hadlee formed one of the best bowling pair in English counties. 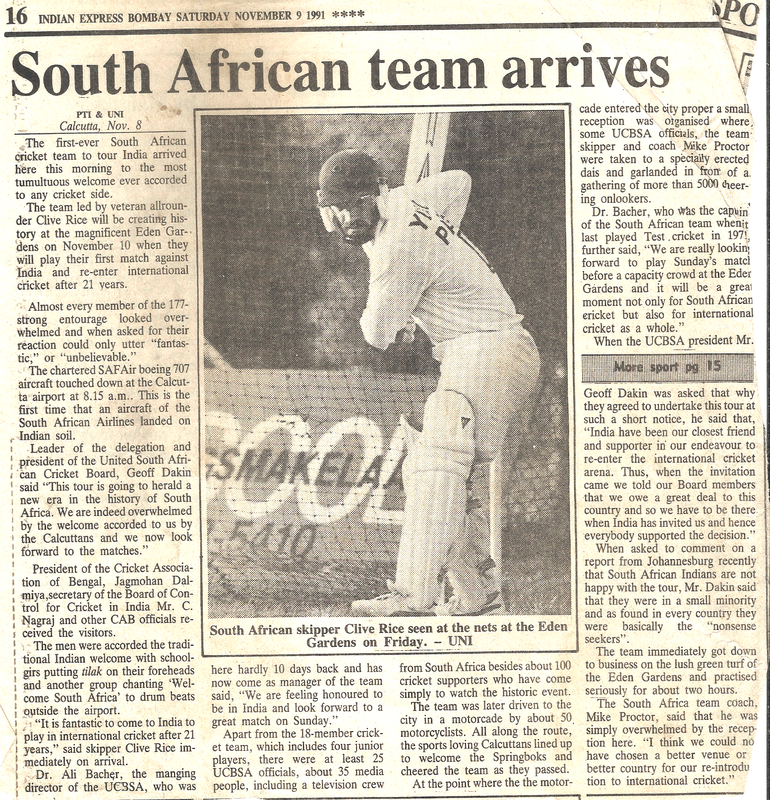 In 1991, when South Africa was allowed to Int. 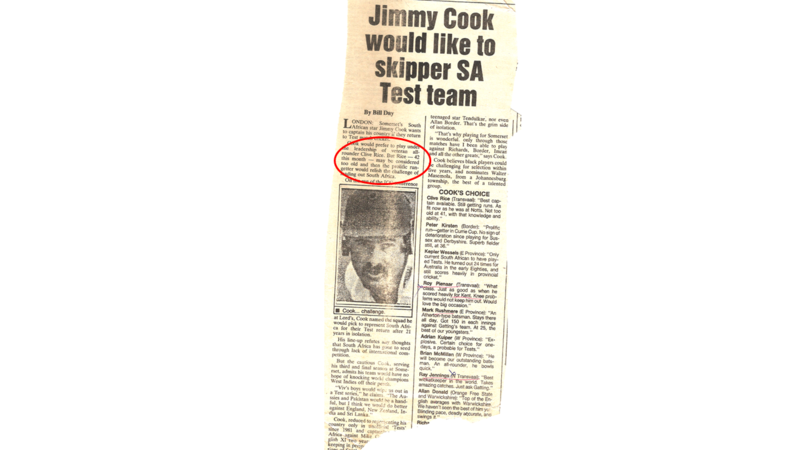 cricket, Jimmy Cook was the favorite to lead them, but Cook said, I would prefer to play under the leadership of Rice. Here is that 1991,Indian Express articles. 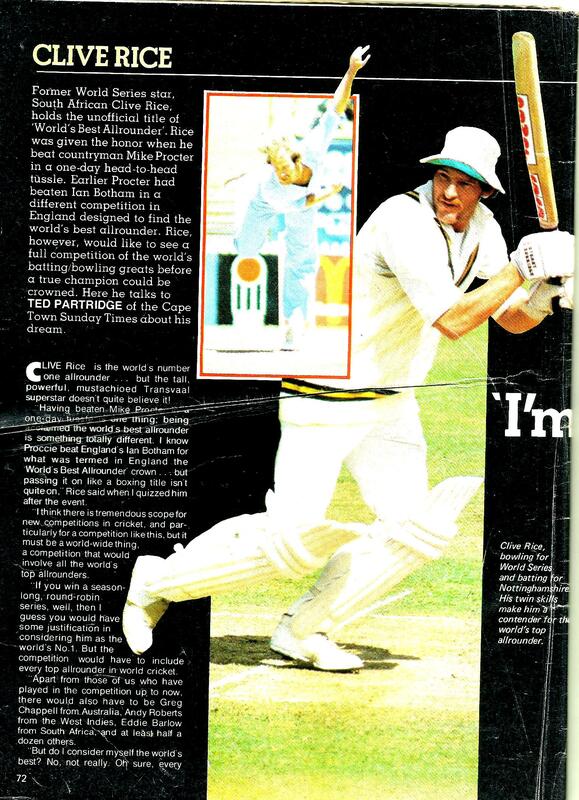 In late 70s he joined Kerry Packer’s circus playing for World XI under Tony Grieg. 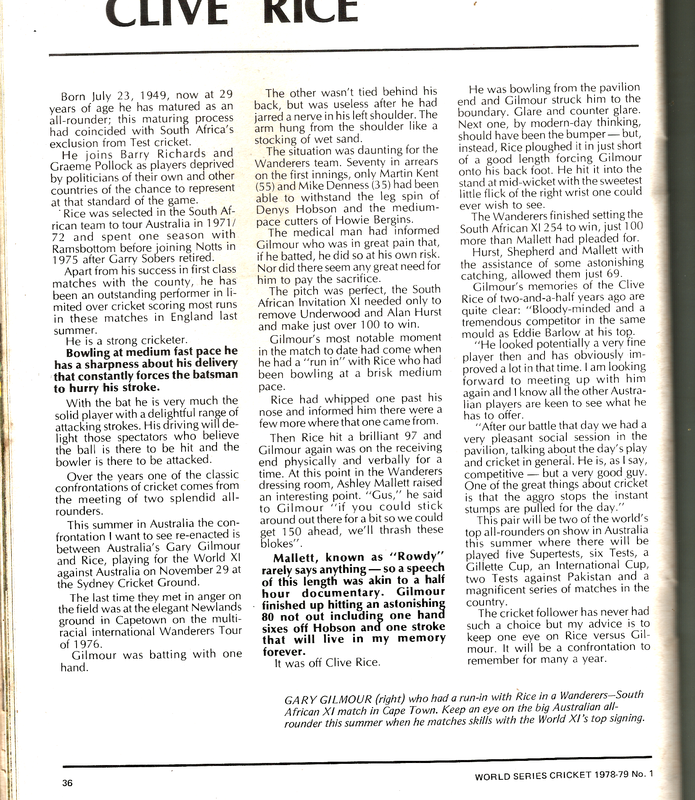 Here is an article written by Ritchie Benaud for World Series Cricket magazine 1978-79.